As designers we always look source and use artisan led items in our gardens. 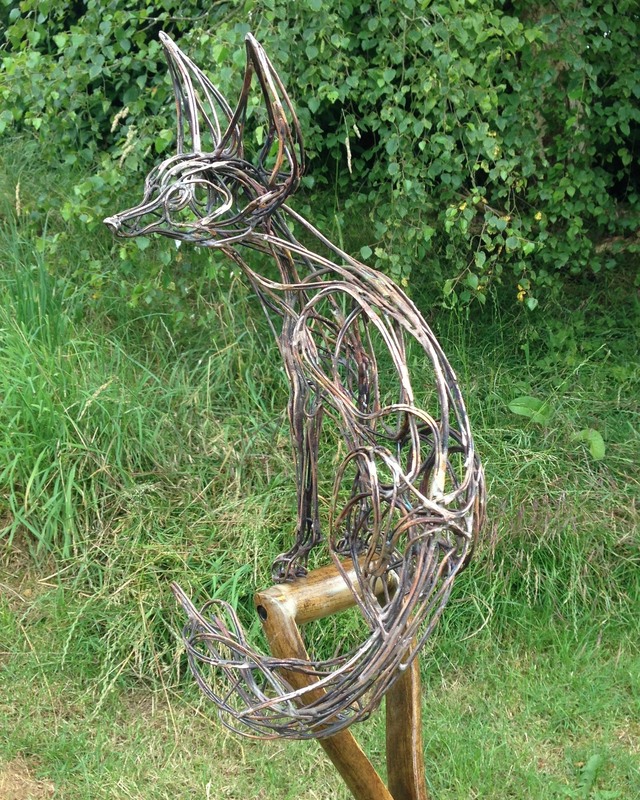 We work with makers to produce our own designs and to create bespoke pieces to our clients' specifications. 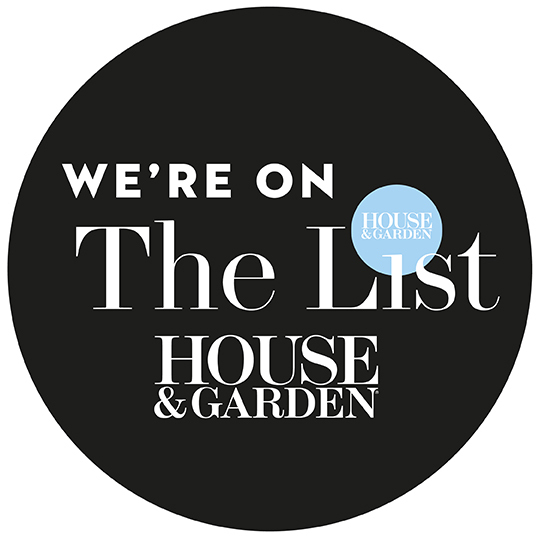 We offer for purchase a carefully curated selection of items to augment the garden experience. 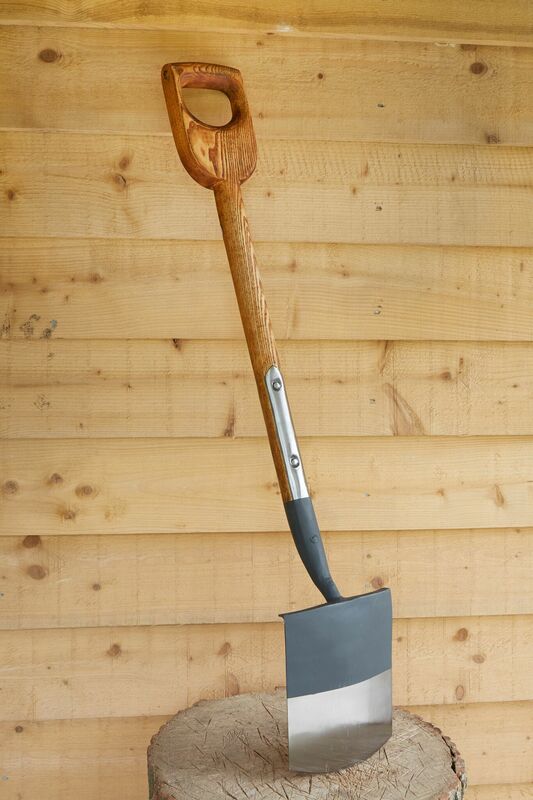 The humble spade is the simplest of tools, but arguably the most important at a gardener's disposal, and these are of the highest quality and manufacturing. 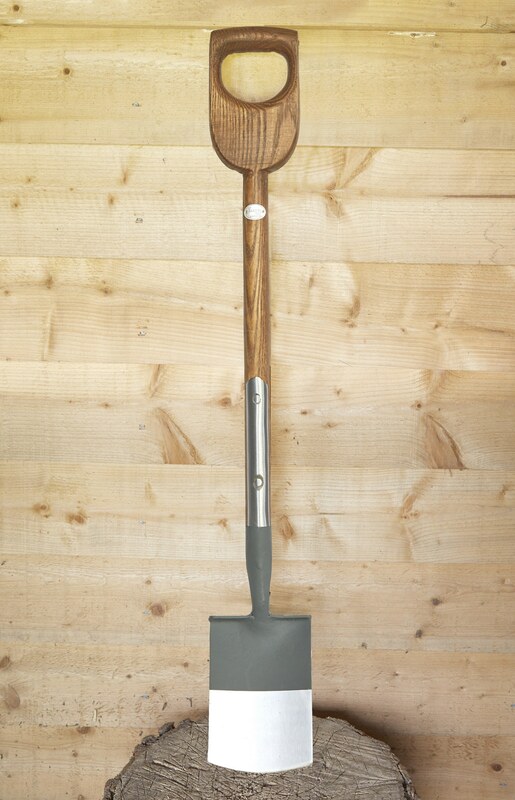 A My Garden Spade is an item for life that will become an old friend, looked after and nourished. A true heirloom piece. 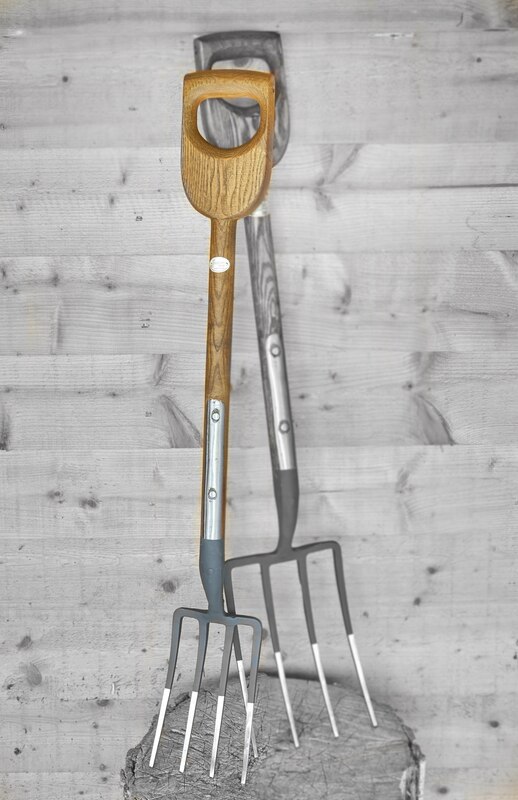 Right up there for simplicity with the spade, the garden fork is also a must have item for all gardeners. The attention to detail and superb quality of this example makes it a pleasure to use, and, when well cared for, will reward the gardener with a lifetime's worth of service. Single forged billet of strengthened high carbon steel E9 hardened to 42-45 HRC, with four carbon steel tines. 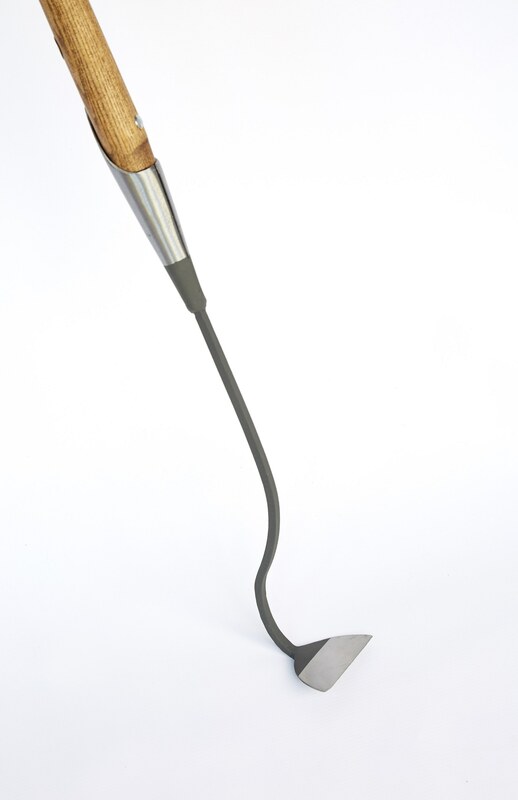 This versitile and easy to use spade is perfect for digging in a tightly planted border or vegetable patch. Superbly crafted and a joy to use, simply wash the soil off and rub the handle with teak oil on occasion, and you will get many years of service from this must have tool. 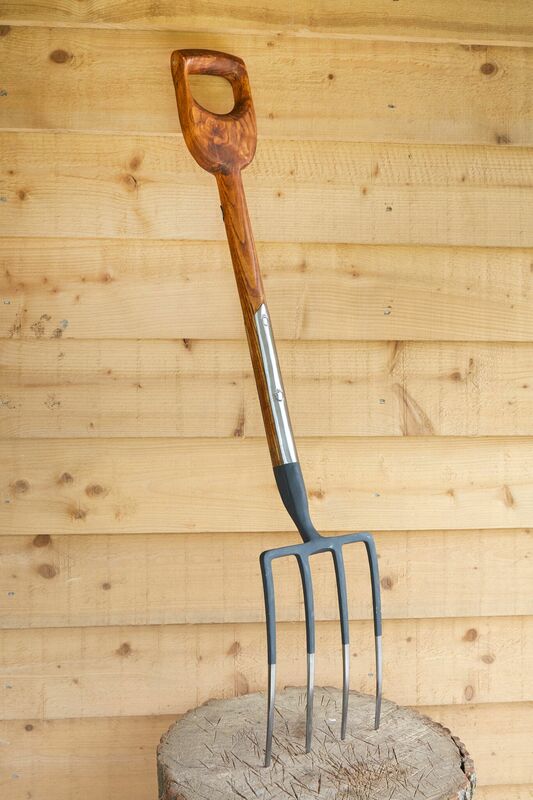 Agile and nimble, this border fork is the perfect partner for the border spade, allowing easy forking of closely planted areas. With fantastic poise, strength and balance, it will gives years of service. Wash off the mud, apply a little teak oil and enjoy. Single forged billet of strengthened high carbon steel E9 hardened to 42-45 HRC. Little and often wins the day when it comes to keeping the weeds at bay! For preserving weed free borders and vegetable patches, a quick whizz round with this hoe, with its' hardened carbon steel swan neck, specially turned handle and sharp blade, will become a joy. Single forged billet of strengthened high carbon steel E9 hardened to 42-45 HRC. Swan necked sharp blade. Straight grained ash wood Grade BS3823, turned to be thinner in the centre for comfort and ease of use. 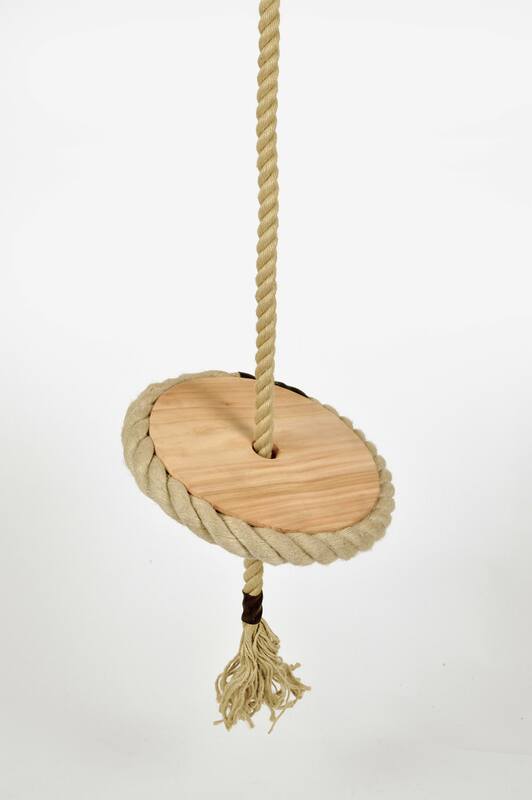 The Big Button Swing, first seen at Chelsea in 2015, is made by hand from the finest sustainable British Cedar and rope from the world famous Chatham Dockyard Ropery. Made with superb attention to detail, the Big Button Swing offers a large seating space and a sturdy, comfortable ride made possible by the abundance of chunky, soft Chatham rope around the swing's base. Each swing comes with 6m of beautifully soft "Ghosty Hemp" rope and full instructions to hang your swing safely. 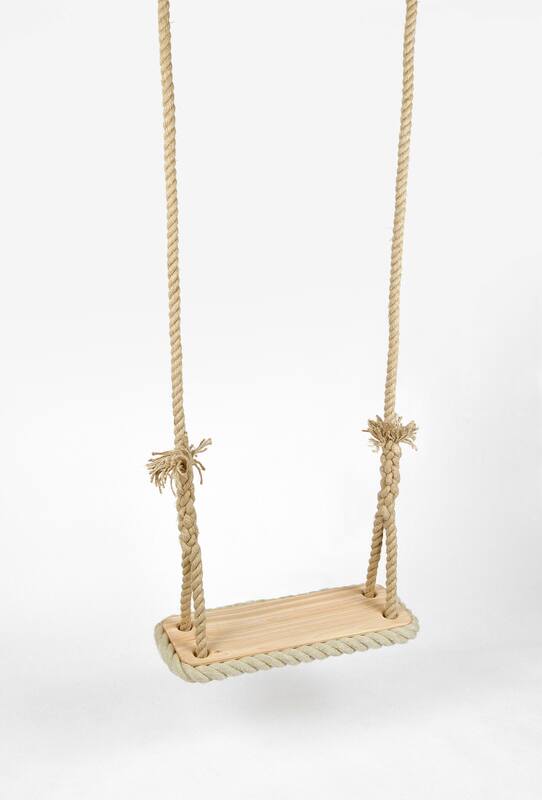 This classic rope edged Cedar Swing is handmade using traditional methods from English Cedar from the Viscount Boyne estate in Shropshire. The chunky rope border adds character and gives a softer perimeter making it compliant with European play safety standard EN1176-2:2008. With two hanging ropes either side, the swing's angle can be adjusted for it to become either a comfortable reading chair for you, or a fantastic play swing for children. 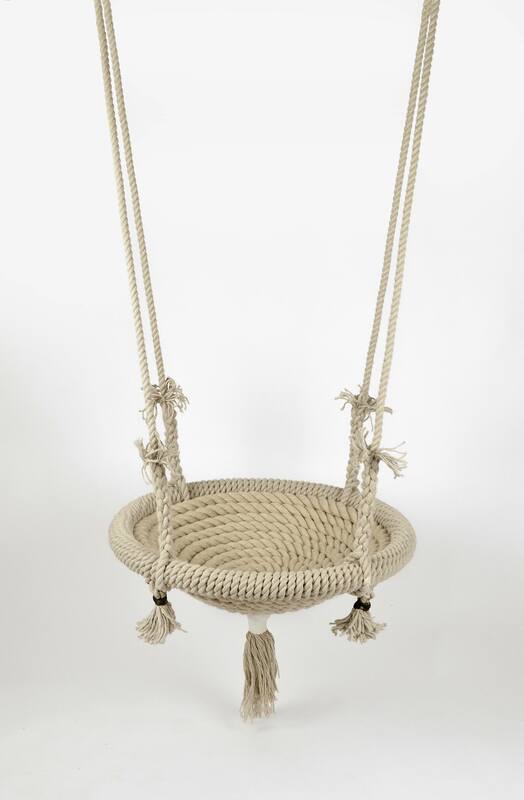 Using the beautifully soft and exclusive "Ghosty Hemp" rope from the world famous Chatham Dockyard to build the swing's base, makes it wonderfully light and comfortable, yet still extremely durable. Measuring 1.2m across, the Super Nest Swing can accommodate most, if not all the family at once. 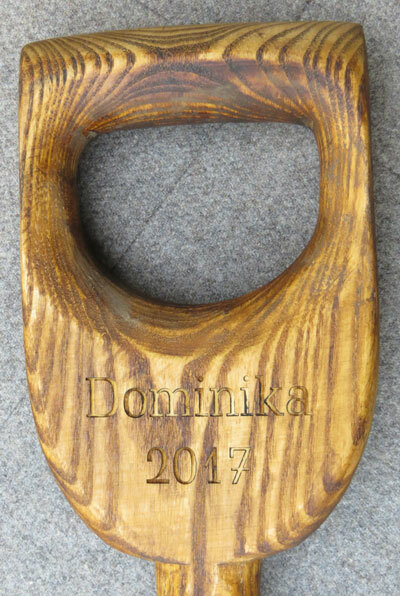 If you have a suitable tree in your garden, we will simply send your swing to you, with full hanging instructions, ready for you to hang. If you prefer, we can design and build a frame to suit your garden. 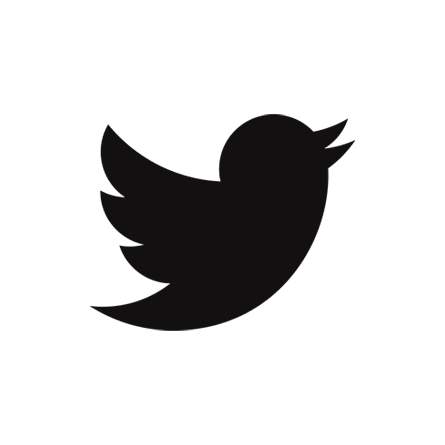 If you do require a frame for your nest swing, please TAP HERE to email or call 0203 879 1766 to discuss your requirements. Please note, the price does not include the frame and each one is handmade to order. 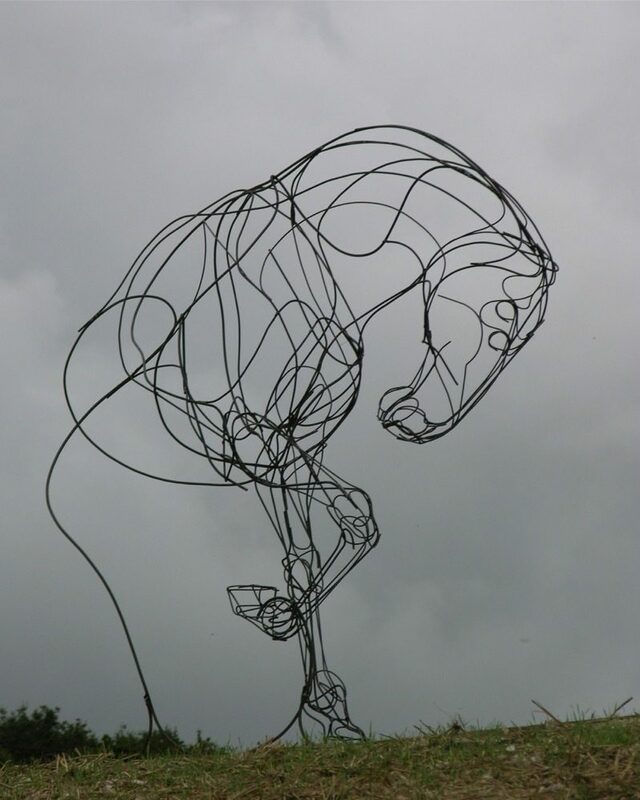 Sculptress Jo Burchell produces timelessly beautiful, hand crafted art in metal. From the stunning verdigris of copper to the stark appeal of barbed wire, Jo's pieces capture the movement and raw essence of the subject. 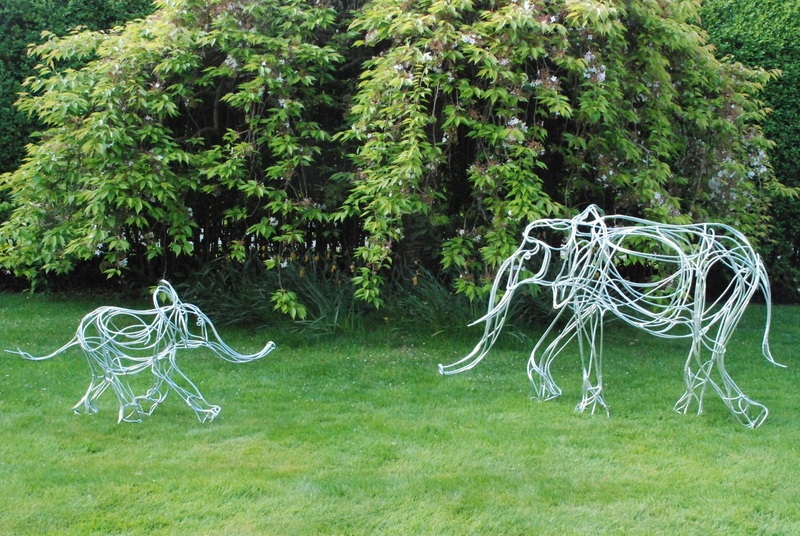 We have worked with Jo on a number of bespoke commissions, and are proud to offer the pieces below. 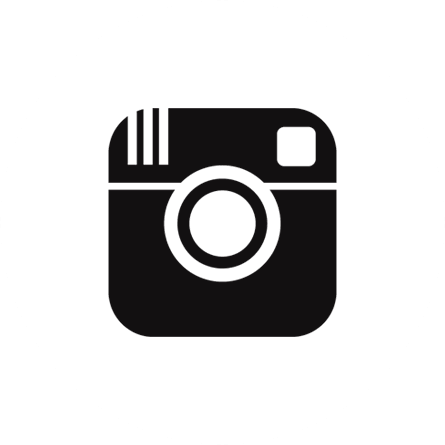 Each work is made to order, and will be produced in the same shape as illustrated. As such the hand of the artist is present in every piece, resulting in a unique composition and build. 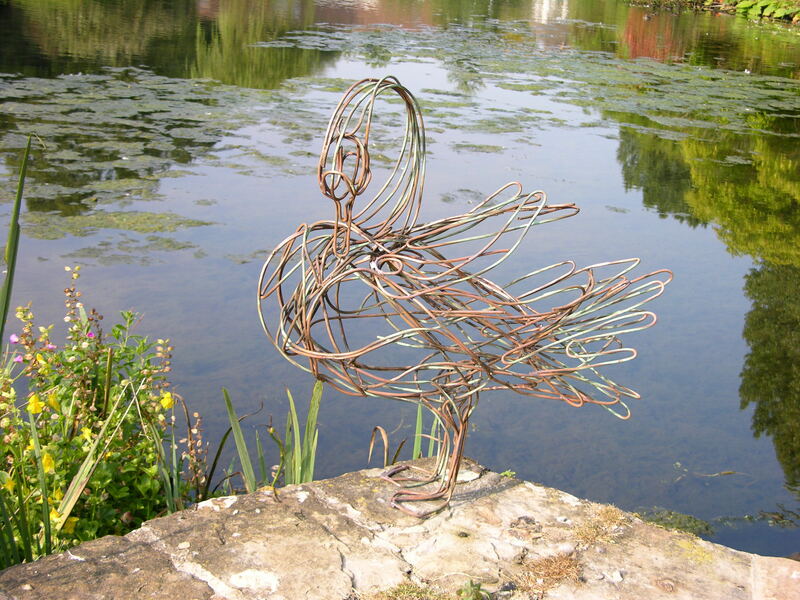 A perfect piece by any body of water, 'Swan' is created in copper which will over time oxidise to the beautiful subtle green of verdigris. Each piece is handmade to order, with a 4 week lead time. The shape will be the same as the picture opposite. The exact construction will be unique. 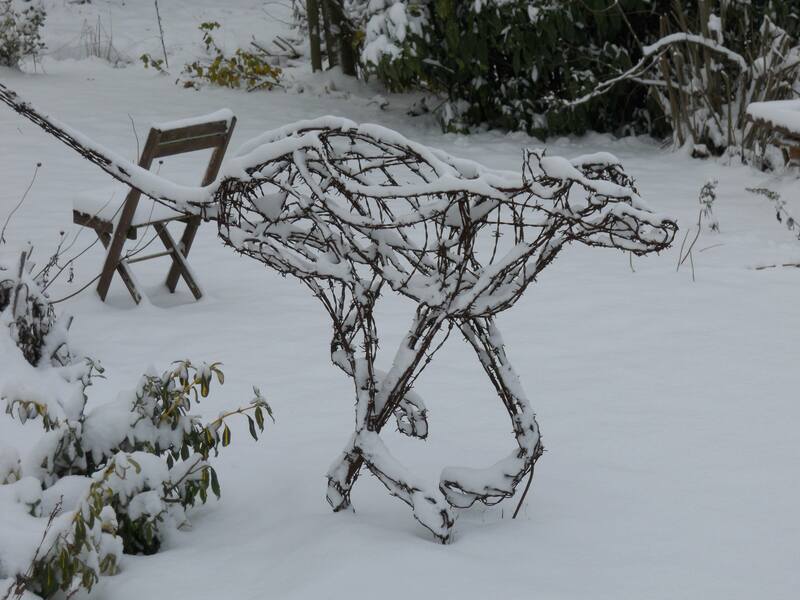 Capturing the grace of a wolf hound in full flight, this work is available in steel, or, for something that is arrestingly different, steel and barbed wire. Snow on request. 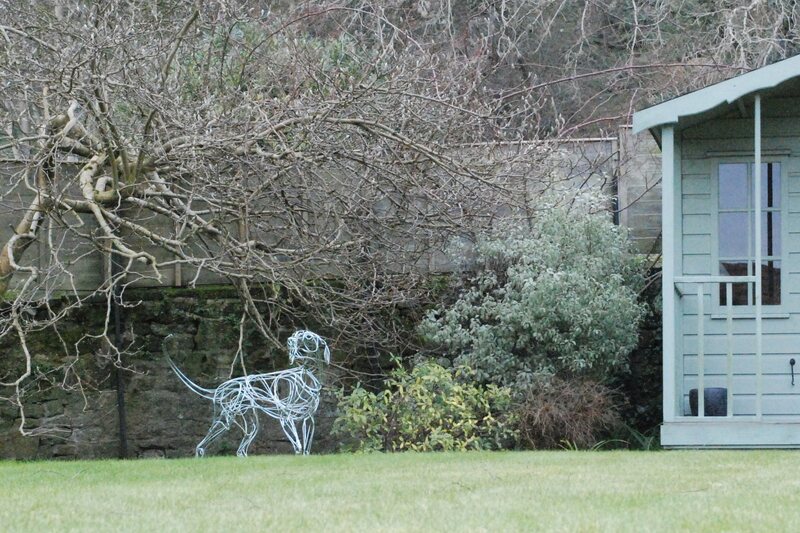 Taught and ready for the off, 'Hound' makes a wonderful focal point to the garden, to be discovered on a garden journey, or out in the open as a centre piece. 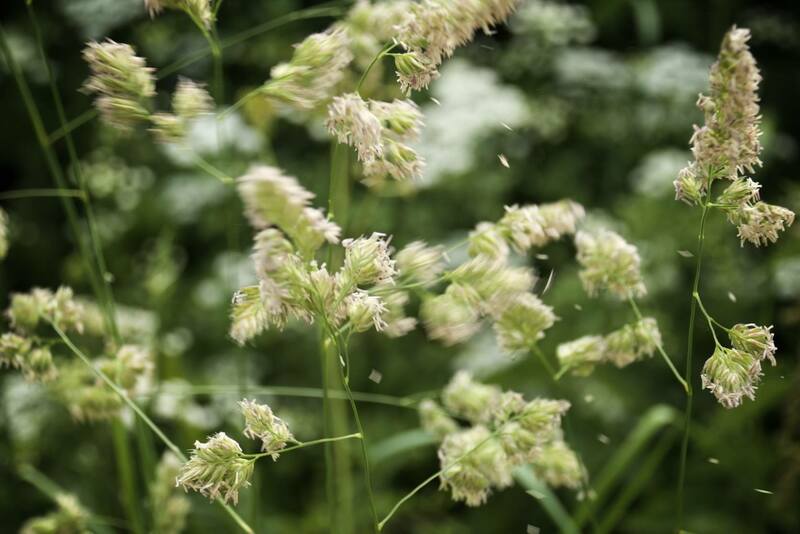 Working closely with Jo and the client, we produce bespoke commissions, either within a specific garden design or a stand alone work.